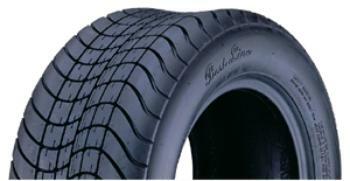 Achieva Rubber is recalling 284 Innova Ultra Runner tires sizes 5.30-12-in., 6-ply & 4.80-12-in 4-ply with the date code rage of 0114 through 3917. The tires fail to comply with the requirements of Federal Motor Vehicle Safety Standard (FMVSS) number 119, "New Pneumatic Tires - Other Than Passenger Cars." Tires that fail to meet the strength test requirements may fail, increasing the risk of a crash. Achieva will notify owners, and dealers will replace the affected tires with new tires, free of charge. The recall is expected to begin August 6, 2018. Owners may contact Achieva customer service at 1-310-328-8868.